Annemarie Tanner married Cody Menard on May 21, 2016 in a true New Orleans-style wedding at the St. Louis Cathedral. Rings: K G’s Custom Jewelry, Baton Rouge; wedding ring designed by the groom using Annemarie’s grandmother’s diamond. 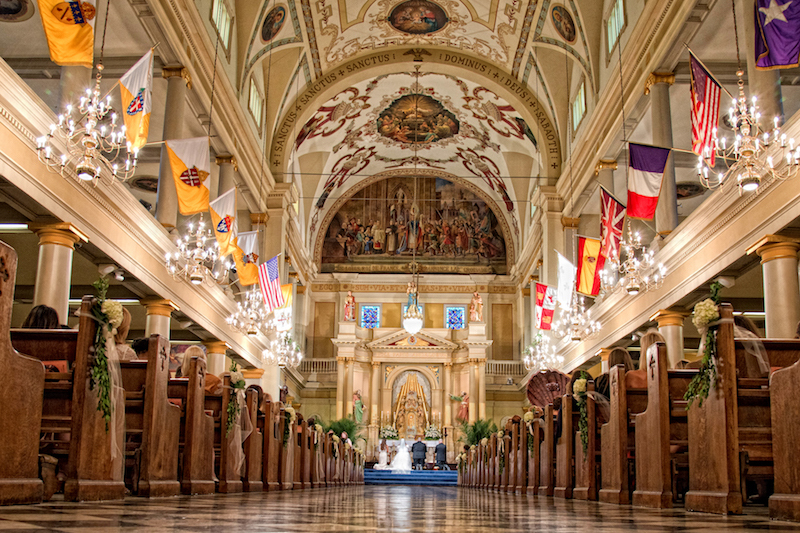 Wedding program: The bride’s grandmother did the cover artwork of the St. Louis Cathedral.